Discussion in 'Game Update Notes' started by ps_nicto, Aug 15, 2018. All PC servers will be taken offline for an update at 6 AM PT on Thursday, August 16th, 2018. Downtime is expected to last up to 2 hours. We've made numerous changes to the code base that should not only remedy many of the performance issues found in the last major update, but should positively impact other areas of the game moving forward. Developer Note: This is a very long road we are following towards getting the game more performant. This is a step in the right direction we hope, but still a long way to the finish line. Unstable Warpgates will remain unstable for 3 hours at most before stabilizing. 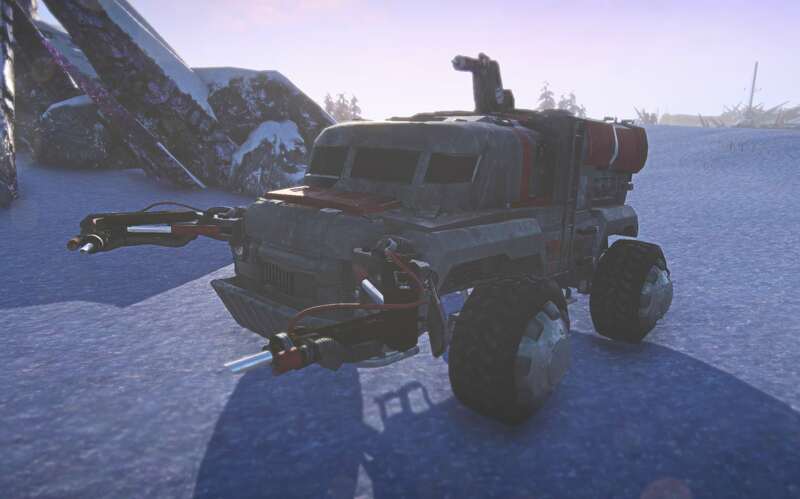 This will help servers like Briggs move through the continent rotations more quickly, as well as participate in continent events outside of peak hours. Warpgates now take less time to charge overall, bringing it closer to the three hour mark before you can start triggering a continent-wide alert. Anomalies now spawn closer to the center of the map. Anomalies will now never spawn in the same location more than once, and will respawn at every available spawn location before beginning another "loop." Anomalies have also received a new look that appears from further away, lines up with the range at which you can receive points, and encourages players to leave the anomaly to do battle with incoming hostiles. Added a speculative fix for ASP air vehicle discounts not being applied after an Anomaly alert ends. Meltdown Alerts now increase experience gain by 25% for the duration of the alert. A new continent event has been added to the lineup. The "Gaining Ground" event, similar to Biolab, Tech Plant, and Amp Station Facility Capture events, will ask each faction to control the most Large Outposts on the continent in order to win the event. We've greatly reduced the frequency of the old facility capture alerts at the same time, as the intent has always been to phase them out when enough new event types made their way into the game. We've reduced the distance the center of a combat area will search for a valid spawn location nearby. This change will reduce the amount of available instant action locations, but it will also be less likely to drop you into spawn locations that aren't very close to fights. In short, better quality by sacrificing quantity. We'll be able to adjust this setting (or revert these changes) on Live without downtime, if need be. August 31st marks the last day for the Summer event, so be sure to try to complete directive before it's gone! Until September 1st, we've unbundled and discounted the Heatwave weapons as well as some summer themed camos. We've also added released a new "Barren Desert" camo that will go back into hiding once this event ends. In addition, all Infantry Weapons will be 30% off until September 1st. 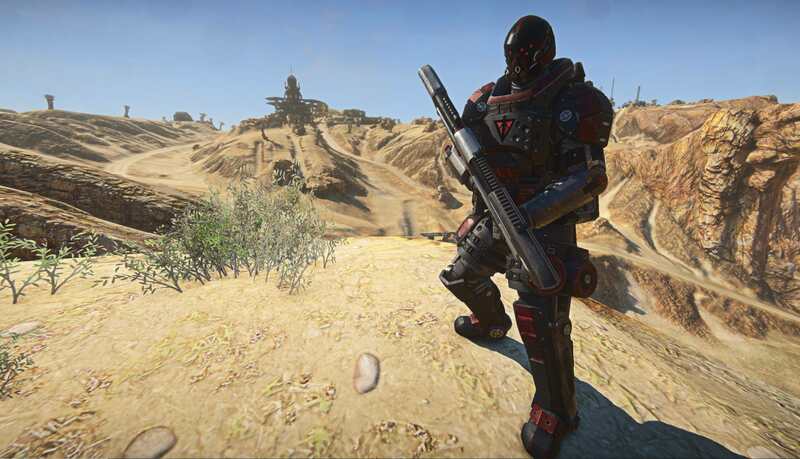 Players have been given a new tool to help guide players through the rigors of combat on Auraxis. "Mentor Squads" can now be created in the squad pane. Players less than Battle Rank 15 are encouraged to join Mentor Squads by prioritizing them when auto-finding squads, and with prompts through the squad pane. Mentor Squads are stripped down versions of a typical squad, creating an environment that's more straight forward and easy-to-understand for newer players. Cannot be converted into Platoons. Do not have access to Offensive, Defensive, and Colored Smoke markers. We have plans for more improvements to Mentor Squads in the future, and are looking forward to seeing how these squad types perform for players interested in guiding the next generation of Auraxian soldiers. Waypoints have received new visuals for clarity. No more confusion about which is a squad waypoint, which is a platoon waypoint, which is an alpha squad, but also squad ( ? ) waypoint? Players can now modify their squad’s default description, as well as basic recruitment and mentor status in the squad finder before pressing the Squad Create button. Squad bans now persist past character logoff, and last until the squad disbands. New squads will be started as public and recruiting, unless chosen otherwise from the squad pane. Squads can now choose to auto-fill into a platoon, instead of having to open each squad individually. Squads inside of platoons will inherit Alpha Squad's privileges. Squad map indicators now show the player's facing direction. Squad leaders can now toggle on or off Squad Beacon privileges. Outfits can now choose to "Host" squads and platoons by enabling the checkbox option when creating a squad. Outfit hosted platoons will always pass leadership to another outfit member if the squad leader goes offline. Outfit hosted platoons that have no more outfit members to pass leadership to will automatically disband. Joining a squad will now filter you into fireteams by default. Fireteams now have access to a /ft chat channel, as well as a fireteam voice channel, bindable in the settings menu. Fireteam leaders (the uppermost player within a fireteam list) now have the ability to place beacons and waypoints. Fireteam beacon privileges can be enabled and disabled by the squad leader. Orders chat has been removed and refunded. The /sitrep command has been granted to all squad and platoon leaders with at least 6 players in their squad or platoon. Using /sitrep will give a continent wide situation report on your current base, its time to capture or defend, and whether or not you need reinforcements, based on current population balance. A new directive has entered the field. The Construction Directive will challenge players to build, support, and make use of construction objects on the battlefield. This directive line can be found under the “Strategic” Directive Category. Solid Wall schematic – A schematic for a “Solid” variant of the Rampart Wall. Blueprint Banner – A faction colored “blueprint” banner to display on your enemy’s death screen. 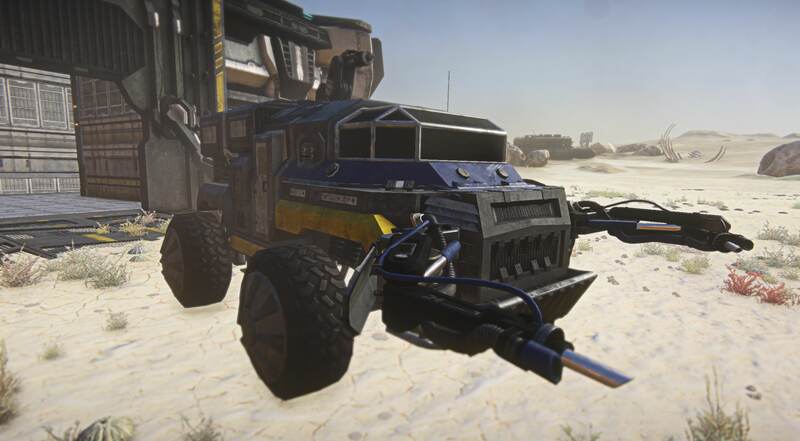 Auraxium Mandibles – A faction colored auraxium variant of the default Mandible ANT weapon. “Builder” title – A title to show off your dedication to construction. The pool of implants has been doubled. These implants have been added to the normal implant crates, alongside the ability to craft the implants you want with ISO-4. More about that below. Jockey: Increases shield health when in a vehicle rumble seat. Survivalist: Increases shield recharge rate and grants a sprint speed boost when at low health. Athlete: Increases sprint acceleration, deceleration, and how quickly you get your hold-breath back. Gunslinger: Kills with sidearms increase your reload speed for a short time. Heavyweight: Grants a major reduction to flinch received from being struck by a projectile, but passively reduces your movement speed. Response Jacket: Grants a resistance to successive explosive damage hits for a short time after you take explosive damage. Ransack: Killing enemy vehicles at close range will restore a tick of ammunition for you and the vehicle you are in. Critical Chain: Headshot kills grant increased rechamber speed for a short time. Sidewinder: Increases strafing speed at the cost of lower strafing acceleration and deceleration. Fortify: Interact with capture points to bolster your shield health for a short time. Symbiote: You receive a passive small arms resistance so long as you've taken small arms damage recently. Covert Drop: Taking damage from a fall will cloak you on landing. Failsafe: When your shield breaks, it restores ability energy. Salvage - MAX only: Killing other MAXes will instantly restore a chunk of health. Paratrooper - Light Assault only: Taking damage restores jump jet fuel. Electrotech - Engineer only: When your shield breaks, you send out a pulse that repairs nearby equipment. Mobility Mesh -Heavy Assault only: Reduces the mobility penalty while your overshield is active. Mending Field -Medic only: Nearby allies who are critically wounded heal passively up to a certain amount of health. Firewall - Exceptional - Infiltrator only: You can now "hack" allied turrets to embed them with a firewall which increases their health pool. Disengage - Exceptional - MAX only: When Emergency Repair is activated, you will knock back nearby enemy infantry and increase your sprint acceleration speed slightly for a time. Avoidance - Exceptional: You no longer trip proximity mines, and spitfires require you to be 50% closer to acquire you. Bionics - Exceptional: Reduces health pool by 400 while increasing personal shields by 400. Cold Heart - Exceptional: Increases heat cooloff for a short period after a headshot kill. Experimental Stims - Exceptional: Gives a random movement speed, reload speed, or small arms resistance buff when consuming a Medical or Restoration Kit. Lady Luck not on your side? Players can now craft their desired implant by using ISO-4 in the Implant Foundry. Currently, all implants except Exceptionals can be constructed through ISO-4 alone. Construction cost is based on the rarity (drop rate) of that implant. Uncloak delay for firing your weapon from 1.25sec. to 1sec. Moving within Minor Cloak will no longer immediately reset your cloak countdown (but will immediately uncloak you per usual.) Now, short bouts of movement after being cloaked will allow you to re-enter cloak more quickly. Firing your weapon now resets the Minor Cloak countdown, ensuring that players no longer accidentally fall into minor cloak while engaged in combat. Detection range reduction has been buffed for all ranks, and the rank 5 benefit has been modified. Rank 5: While walking, you are not detectable by recon devices at all. Fuel restorations are now the same percentage of maximum fuel, regardless of jump jet type. Vehicle kills at rank 5 now restore 30% jump jet fuel. Deployables no longer trigger Aerial Combatant. Tier 5 benefit from 30% of current energy restore to 10% of maximum energy restore. 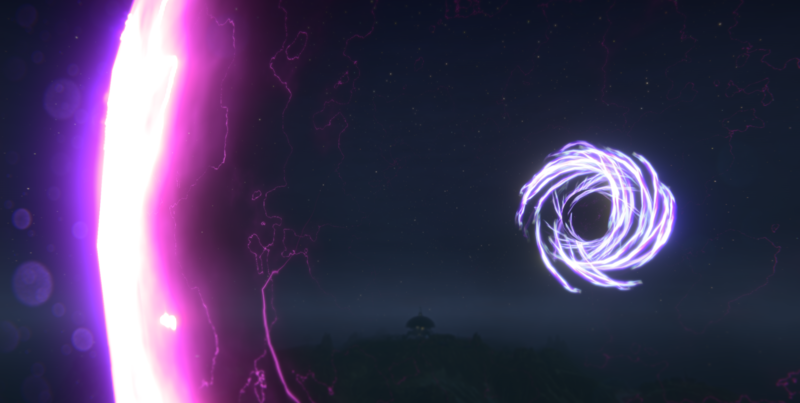 Dev Note: Restructuring this benefit reduces the overwhelming synergy with Adrenaline Shield, while resulting in higher energy returns in situations where you’d normally deplete or get close to depleting your energy, since it no longer bases the regeneration on your current energy supply. Your overshield abilities now decay 50/55/65/80/80% slower while stationary, and 25/28/33/40/40% slower while moving. Rank 5: Your depleted overshield no longer has a delay before it begins recharging. Dev Note: The rank 5 bonus and progression from ranks 1-4 have been swapped, and increased to be more useful in more situations. Whenever you spend longer than a total of 30/26/20/12/12 seconds outside of cloak without taking damage, your cloak's visibility will be reduced by 75%. Dying or taking damage from enemy sources will reset the benefit countdown. Rank 5: Killing an enemy will remove 3 seconds from the countdown. Dev Note: The small cloak visibility reduction of the previous Deep Operative was too weak to be noticed, and increasing that benefit as a passive could have turned out too strong. The middle ground now requires the Infiltrator to spend some time outside of cloak in order to accumulate the benefit of having a deeper one. We've also removed the rank 5 scan mechanic in place of a benefit that lets the player more quickly return to their enhanced cloak state. The ISO Recycler found in the Depot no longer gives players common implants, and will now only yield implants that are of uncommon or higher rarity. 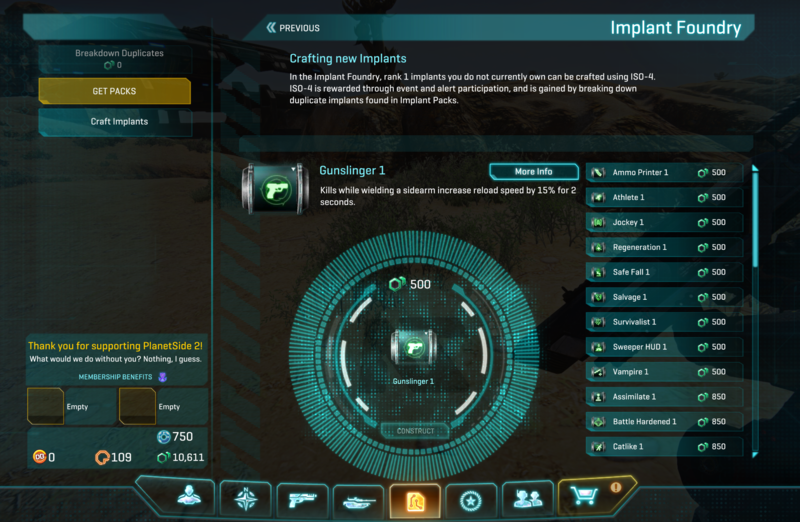 The "Breakdown Duplicates" button now shows the proper breakdown value if you happen to own an exceptional duplicate implant. The currency cap on ISO-4 has now been set to 100,000. The breakdown value of Exceptional implants has been reduced from 1500 to 500. Unowned implants are now filtered from the loadout screen by default. Breakdown Duplicates button now works if you have a filter active. Overdrive Implant works once again. Dev Note: This weapon had some major usability issues in terms of tracking targets and estimating drop distance. The changes above should make this weapon much easier to use. Dev Note: These changes reduce how quickly a Galaxy can be destroyed by weapons like the Liberator's Vektor and Valkyrie's Wyvern. Resistance to small arms (type 2) from 96 to 75. Dev Note: The resistance change puts damage from small arms in line with that of Empire Specific Fighters, noting that they still retain their 50% belly armor and the capacity to repair from the rumble seat. The Wyvern's minimum damage reduction helps shorten the range at which a Valkyrie can harass larger targets. We've moved away from HESH allowing for one-shot kills indirectly, and instead have increased the consistency of its blast damage in an area. At the same time we've rebalanced the direct damage output and reloads of certain weapons to bring their damage output to a level where they’ll feel like more viable options. Reload speed from 3sec. to 3.25sec. Reload speed from 3sec. to 2.5sec. Reload speed from 4sec. to 3.75sec. Reload speed from 2.75sec. to 2.25sec. IR Smoke should no longer blind like the sun during certain times of day. Sunderer should now be able to undeploy while under fire and being repaired. Fixed and updated Sunderer Deploy Shield particle effects. Updated Sunderer Blockade Armor’s description to be accurate with its benefits. Vehicle in-cockpit displays should no longer be blank. Removed the Tank Shell resistance given at rank 3 and above. Removed description’s mention of C4 and Tank Mine resistance prior to rank 5, as these resistances were never actually given at earlier ranks. 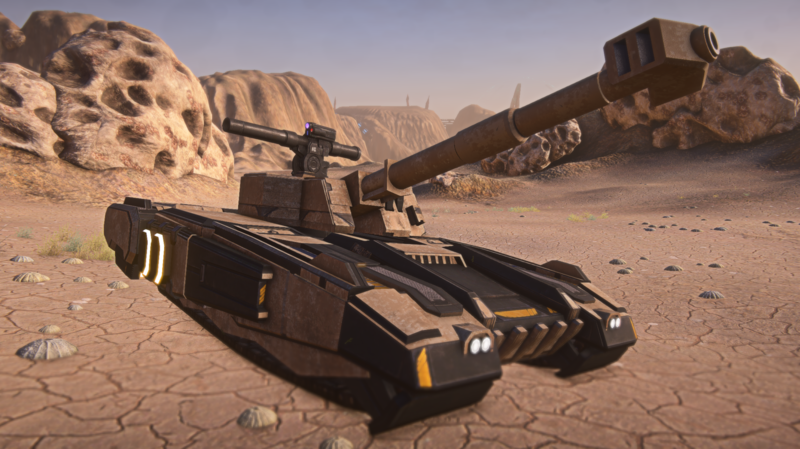 Dev Note: In conjunction with the tank cannon changes mentioned earlier, this means that Lightning, Magrider, and Vanguard HESH, as well as Magrider and Vanguard AP can now one-shot Flak Armor infantry on a direct hit. Sway removed from all 1x IRNV optics. No longer has limited usage, and instead is cooldown based. 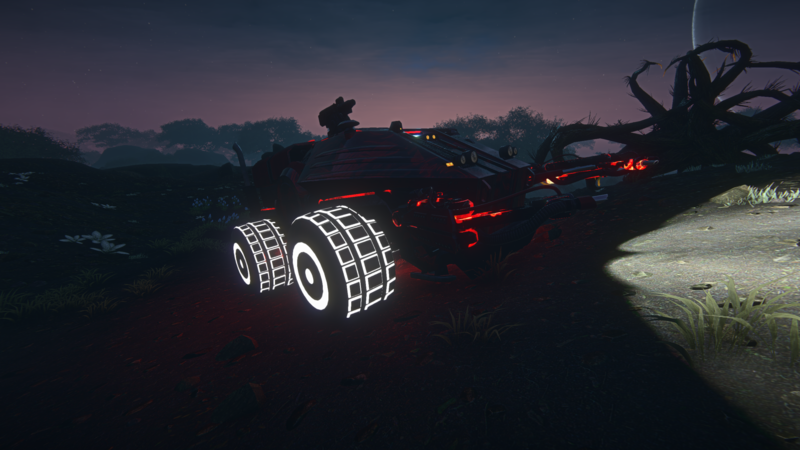 Upgrading this turret now reduces its cooldown (from a base of 35) by 5/10/15 seconds. Updated suppressor descriptions to have detailed information. The suppressor attachment no longer reduces maximum damage range. Dev Note: Suppressor penalties varied wildly from weapon to weapon, and in most cases remained one of the least desirable attachments to equip. We've streamlined the stat changes to make suppressors easier to understand and more worthwhile to use. Dev Note: This brings the Striker's range to roughly 445 meters. Previously, the projectile would be able to reach well beyond the range vehicles would actually render. Lockon Distance from 400 to 800. Lockon Lifespan from 5 to 12. Dev Note: This adjustment does not change the Swarm’s initial lockon distance, but only the distance (and duration) at which launched rockets will follow their target. Wielding knives and medical kits should no longer make you run silly. MG-HBR1 Dragoon’s reload animation should now work correctly. EMP Grenades once again cause an overheat on MANA Turrets. Fixed an issue with VE-LR Obelisk's Manual Calibration attachment where the heat bleedoff rate was more severe than intended, and was giving 5 additional shots, instead of 4. 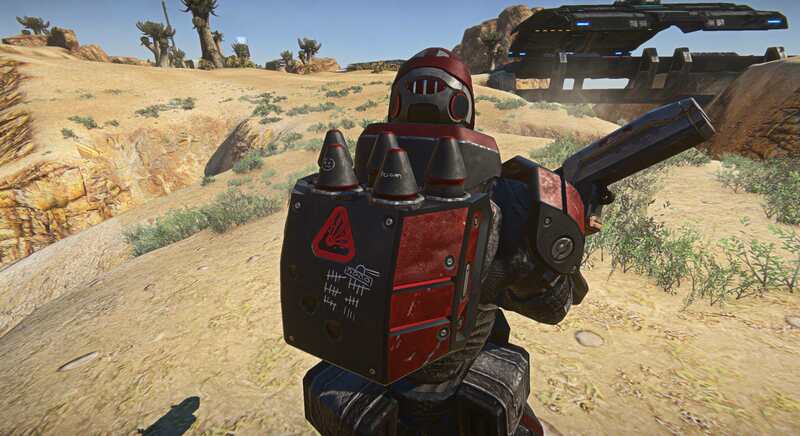 Steve0's Bastion Armor (Terran Republic Heavy Assault) has been released. Binarycoder's Dredge Helmet set (New Conglomerate) has been released. 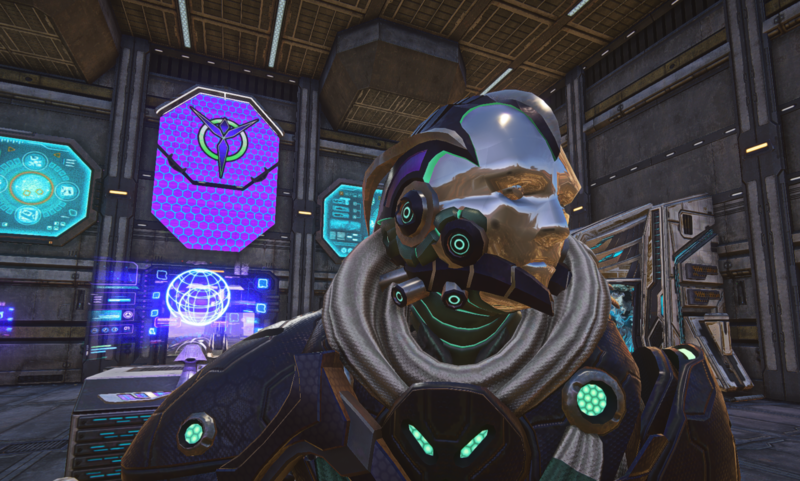 Reaperop117's Mantid Helmet (Vanu Sovereignty) has been released. 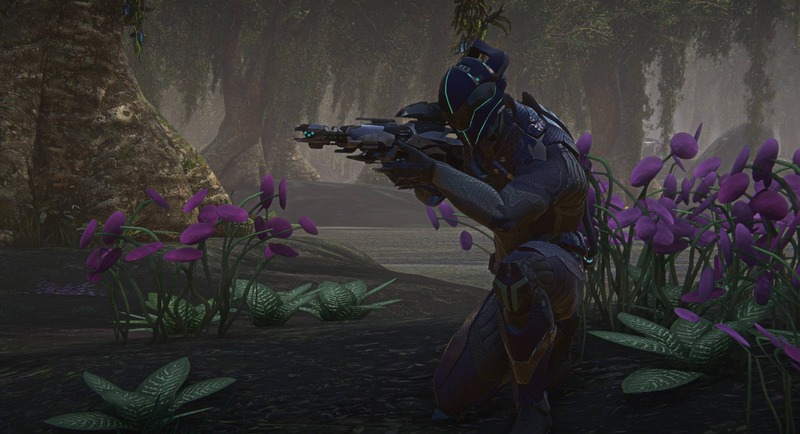 NS6's Visage MAX and Infantry Helmets (Vanu Sovereignty) have been released. LorrMaster's Argos, Tharsis, and Trilobite ANT window and cabin cosmetics (NC, TR, VS respectively,) have been released. EbonNebula's Sub-Orbital Galaxy cockpit (Common Pool) has been released. Another round of Decals has been processed. Vehicle Gate Shields now block projectiles from all weapon types. This creates more consistency with other gate shields in the game. Your first person arms should no longer fall off during death animations. Toned down Esamir brightness for infrared optics at certain hours of the day. Defense experience pulses should now be awarded the first time a base is being captured after a continent unlocks. Fixed issues where modifications to maximum health and shield wouldn't show properly on the HUD. Character feet should no longer sway back and forth along the ground during their idle animations. We've made a round of changes to the default settings for new installs to be more acceptable by modern standards. Players can now set faction map territory colors independently from facility object colors in the Interface Settings. Continent faction balance requirement from 6% to 10%. Various geometry exploit fixes and bugs across multiple continents. The "shadow" from the My Character screen profile banner has been removed. 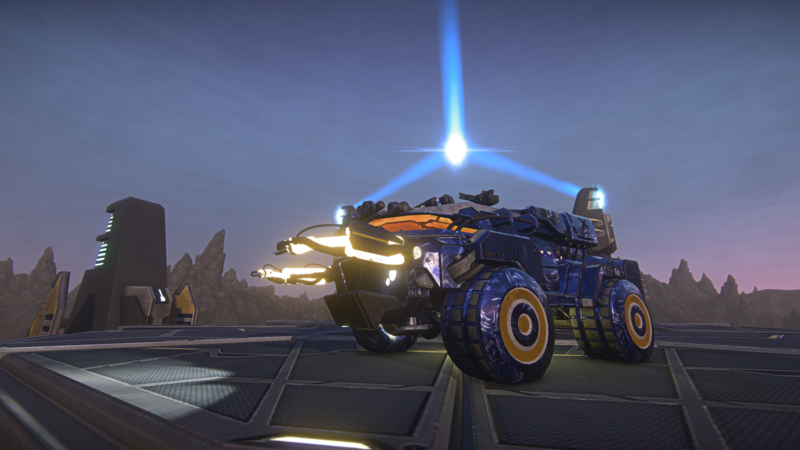 Fixed an issue where clients could crash during an Anomaly alert when spawning vehicles at the warp gate. VE Hourglass (6x) optic now unlocks account wide when bought with Daybreak Cash. Azure Inferno Skull cosmetic's glowing eyes should no longer appear floating ominously in first person. Shield shaders should no longer create a tearing reflection near the edges of the screen. This was most commonly seen while placing or viewing construction objects. Fixed various MAX Ammunition Container bugs. Facility alerts should now always provide some reward, even in the case of a draw. EMP grenades should once again fry Anti-Infantry MANA Turrets, and AV MANA Turrets will now also be penalized. Welding tool is not currently functional. Minor Cloak: Still a bug where you could turn your class ability on by attempting to fire your weapon while cloaked.